These cars will hit dealer lots soon, and we'll be eagerly waiting. This year is shaping up to be a good one for new car reveals. The auto industry is changing, and some of the most anticipated new cars are actually SUVs and crossovers. Out of all the new cars that are set to arrive this year at dealerships, we wanted to breakdown the five models that we are most excited to drive. We believe that these will be the most significant cars of the year in each of their segments. Our top five has a nice mix of sports cars, and practical models that we are desperate to have a go in when they arrive at dealerships. The Aston Martin DB11 has already been a revolution for the brand. 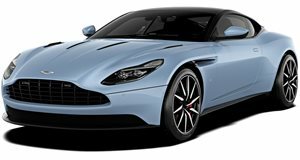 This is by far the most competitive, most technologically advanced Aston Martin to date. As good as the twin-turbo V12 DB11 is, we are actually more excited to drive the 4.0-liter twin-turbo V8 model. This engine is borrowed from Mercedes-Benz and is one of our favorite V8s on the market. The V8 car produces 503 hp, which is less than the V12's 600 hp. However, the V8 car weighs 253 pounds less than the V12 so it should be a more nimble sports car. We weren't completely enamored with the sound of the turbocharged V12, so we are extremely excited to sample the V8 DB11 in action. For obvious reasons, we are extremely excited to get behind the wheel of the McLaren 720S. This will definitively be the best supercar of 2017 and possibly 2018 as well. The new 4.0-liter twin-turbo V8 in this car produces around 710 hp, although tests show that this number could be closer to 800 hp. The only car that we could possibly see matching the performance of the 720S is the new Porsche 911 GT2 RS. This new McLaren will blow away pretty much every supercar from the Ferrari 488 to the Ford GT. The 720S is our front runner for supercar of the year. The premium crossover is such an important segment that we couldn't leave it off this list. 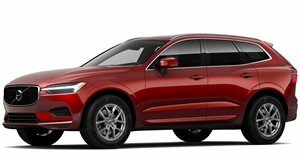 The Polestar Volvo XC60 T8 seems like an obvious front runner in the crossover segment this year. For one thing, this crossover is gorgeous and extremely powerful. The standard T8 model produces 407 hp from a twin-charged 2.0-liter four-cylinder with hybridization. Polestar then bumps that number up to 421 hp for even more oomph. The result is a practical crossover that is faster than a E46 BMW M3. Crossovers are becoming increasingly popular, but there is still a place for the large SUV. 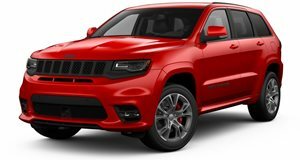 The Jeep Grand Cherokee Trackhawk will never be as common as other SUVs in this price category, but that doesn't mean that it won't be special. With 707 hp, the Trackhawk will be one of (if not the) fastest SUV on the market. Stuffing a Hellcat engine into a Grand Cherokee may not make much sense, but that is exactly why we love this SUV so much. The Trackhawk will top our list of the hottest SUV of the year (until the Lamborghini Urus is finally revealed). Kia has been trying to move upscale with models like the Cadenza and K900. The Stinger seems like the car that will finally show the world that Kia can produce a true driver's sedan. The Stinger will be powered by a 255 hp 2.0-liter four-cylinder or a 365 hp 3.3-liter twin-turbo V6. Kia will offer RWD or AWD going out to an eight-speed automatic. RWD models will come with a limited-slip differential and a 0-60 time of 5.1 seconds with the V6. We think that the Stinger looks like a true competitor for luxury German models and we can't wait to drive it.